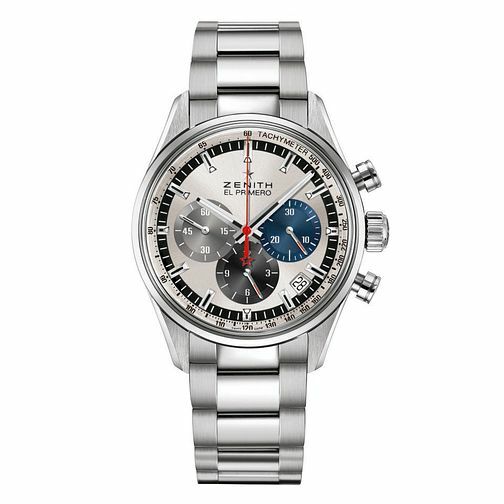 Zenith presents a functional chronograph from its El Primero series, with three subdials with different colour shades that enhance readability. The indices and hands are clearly marked with black and white accents, with the red hand marked for enhanced readability and the signature El Primero star at the end. A date aperture is also located on the dial, helping you track the date and a tachymeter around the dial to help you track speed. The stainless steel case and bracelet are finished with a lighter colour accent with a beautiful brushed metal finish.